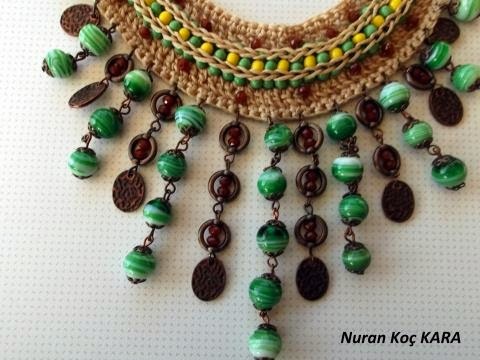 This necklace will work with crochet technique, natural stones and embellished. 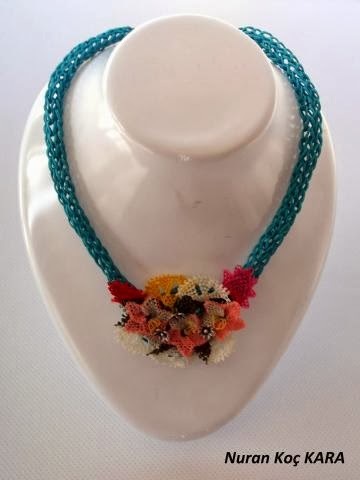 This necklace with crochet technique. 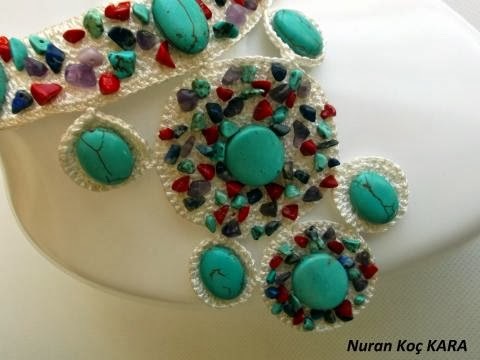 Handmade needle lace and embellished with natural stones. 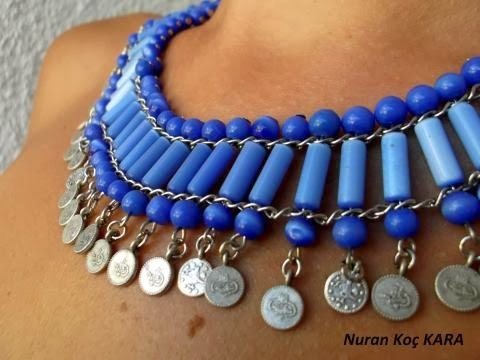 This knitted necklace pulleys work technique.